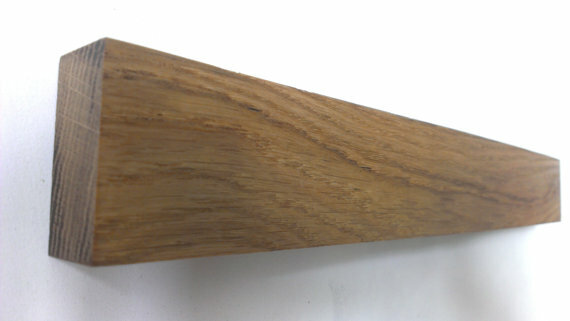 Hand crafted from Solid wood, painstakingly shaped from 2" Planks, smoothed and finished with food grade oil. Housing Extremely strong Neodymium Magnets Ensuring your knives are safe and secure. Do not be fooled by cheaper products you may see that use inferior magnets and are often not fit for purpose. 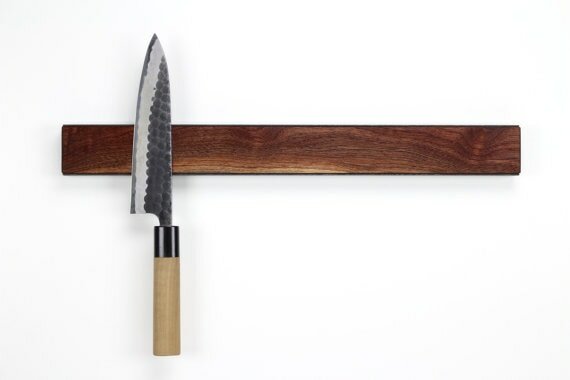 Once postioned in your kitchen with the supplied fittings, your knives will not shift with our sturdy Racks! A beautiful and useful addition to your kitchen. A modern and clean look, made from the highest quality Walnut wood. Strong neodymium magnets placed every 5cm securely hold knives, scissors, bottle openers and other metal kitchen utensils. The piece is sanded smooth and finished with food safe oils. All magnets are are concealed giving a clean, simple, stylish appearence.